Happy Friday everyone! 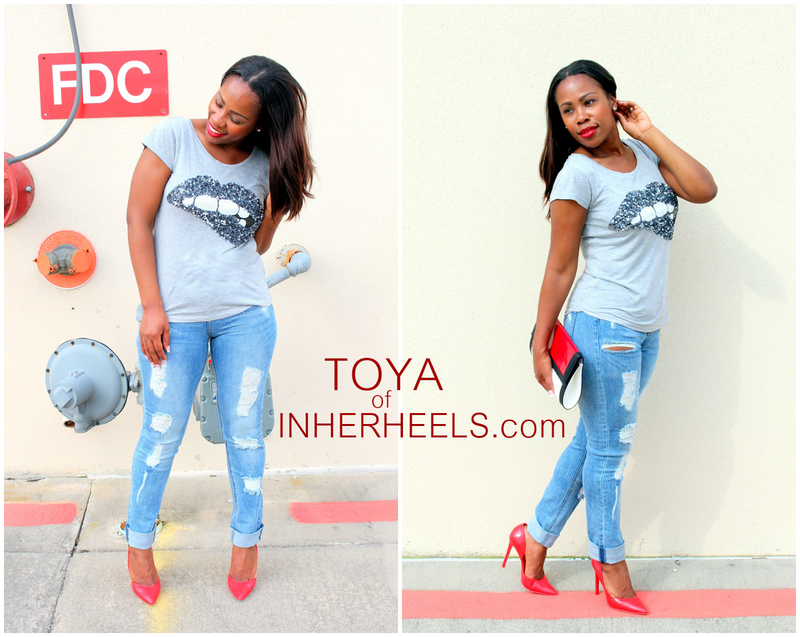 Today, I am teaming up with Toya from In Her Heels to bring you guys some style inspo for those oh so Casual Fridays! Toyas' look is jean chic, while mine is coffee-house glam (I totally made that up! I just need my Mocha Frap), but as you can see, we both are still stylish while keeping it comfortable! 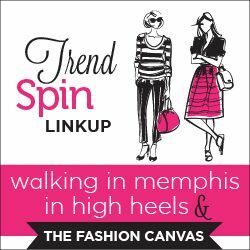 Come in and take a more in-depth look at our Casual Friday! Meet Toya! She's a Houston based blogger and creator of the In Her Heels brand! I always enjoy reading up on her blog that's not only fashion based for women and children, but she also gives us style tips for the home. Many of you don't know that when I started college 100 years ago, Interior Design was my major until my school phased out the program. So that portion of her blog is very much appreciated! Check out her post to see her Casual Friday look and browse her archive for more inspo! When I saw this dress, I instantly fell in love. 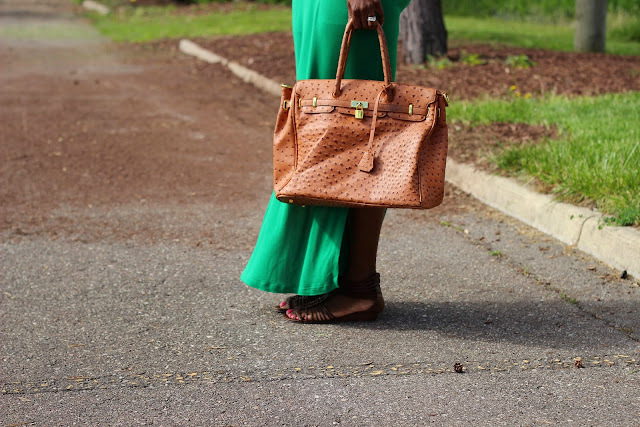 Maxi dresses are my favorite to wear in the (warmer parts of) Spring and Summer. It's a complete outfit, you don't have to worry about accessorizing too much and I can't stress enough the comfort factor. This dress was offered in many colors, but I went out on a limb and chose this Kelly green because it's different than any color I own. I'm typically not a green girl, but this was calling me. And I'm glad I answered! As always, Thanks for stopping by! 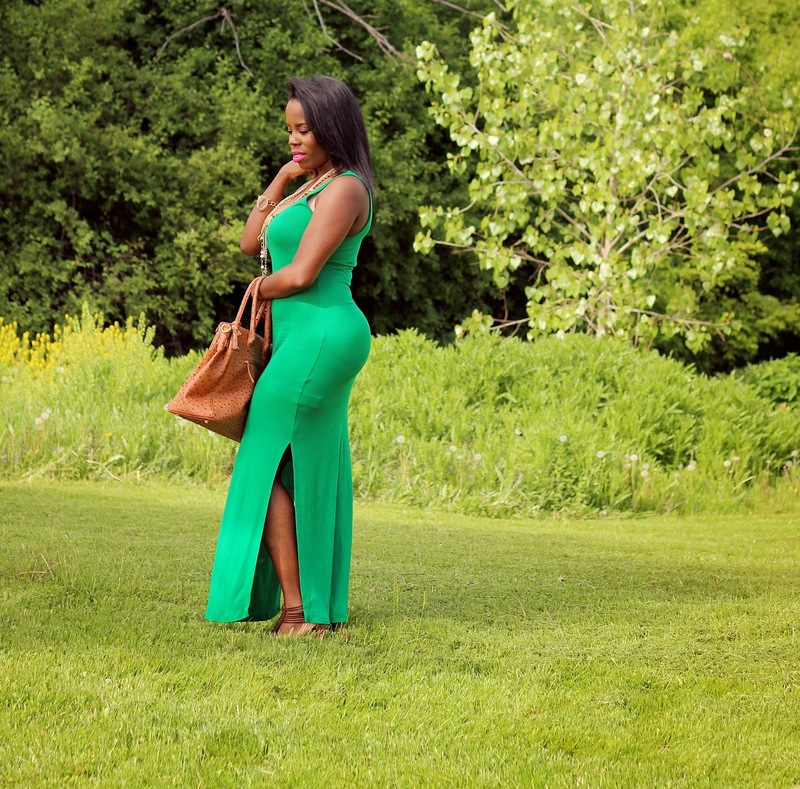 Make sure you go over to Toya's blog at In Her Heels to see her outfit in action! I also would like to Thank her for inviting me to participate in her newest segment - Casual Fridays! Such a fan of blog collaborations! What are your go-to's this spring so far? I can see this dress and many like it in heavy rotation for the warm weather months! Until next time!